This is the first article out of a series of seven. 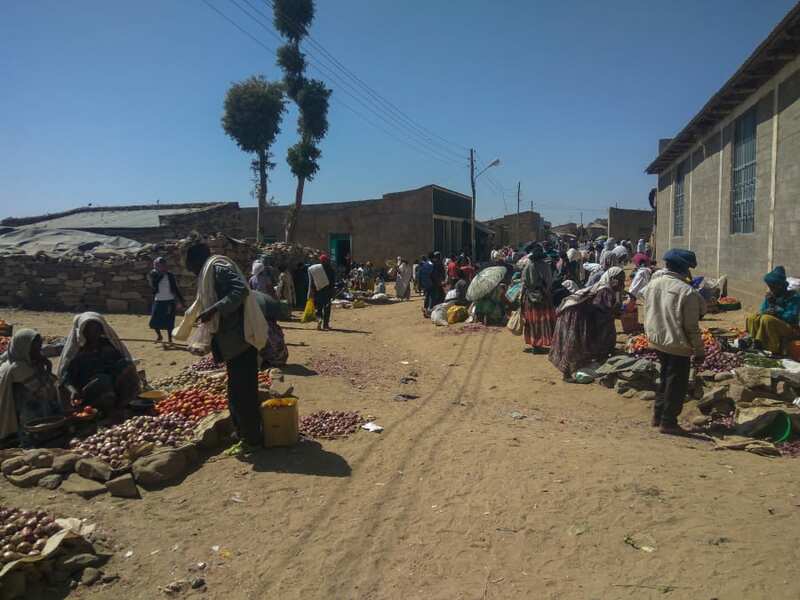 In the evening we got to Dodola town and first of all, headed to the office of the company that organizes trail riding tours in the Bale Mountains. Soon – after an hour spent in a small and stuffy office – we had our trip planned out and the fees paid. The guy at the office recalculated them several times and arrived at a different outcome each time! 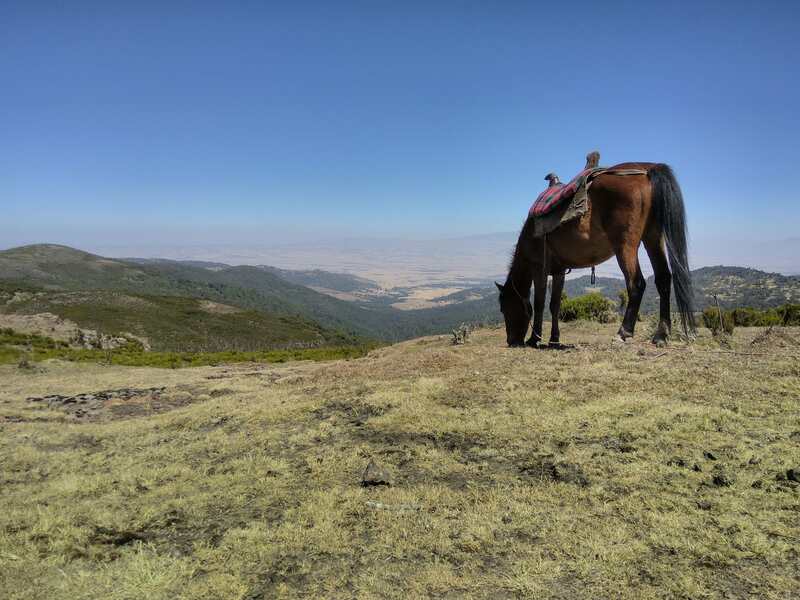 This is what we`ve found out concerning a trail ride in the Ethiopian Bale Mountains near Dodola: It is possible to organize the track either walking or horse riding. In any case, a guide is obligatory, you may also rent a horse to carry your stuff. You may hire a cook if you like. It is also possible to arrange that you get the horses just for a couple of days and walk the rest. You may stay in one basecamp for more than one night – but then again you have to pay the guide for that day regardless. What concerns the costs: It is 15 EUR per horse per day, and 20 EUR per guide. One horse can carry the luggage for two people. In the basecamps, you may either sleep in your tent or in a hut. I was really curious to see what the huts look like – well they are basic at best. Just four walls and some beds with old smelly blankets and pillows. Sleeping there would cost 3 EUR per night. Even though we had a tent and sleeping bags with us, we booked the huts just in case: I supposed the huts would make sleeping in the minus temperatures of the highlands more bearable. And that was true. The hut’s walls soaked up the sun during the day. Two blankets added additional isolation from cold in addition to the sleeping bag. On the other hand, there are fleas in the huts. But they are also kind of everywhere in the mountains. While sitting on a meadow you may spot these beasts jumping around. On the other side of the road from the office there was a hotel the office guy suggested we should stay at. It didn´t have running water and for that reason, the bathroom was stinky as hell. Apparently, there has not been any water during the last few days in the entire town. Apart from us, there was a compartment of Ethiopian military forces stationed there. After half an hour the guy from the office came to visit us with the news that he had forgotten about one thing – the wage for the handler of the horse carrying the luggage. After the missing part was paid, we invited the office guy for a dinner. He took us to another hotel that apparently had better food than ours. It was our first Ethiopian meal and it was delicious. For the first time, I tried an Ethiopian avocado and mango smoothie – so thick, you may stick a spoon into it and it would stay right where you put it. 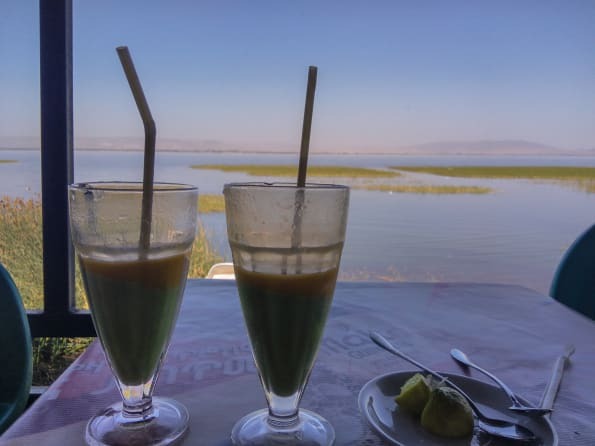 Ethiopian avocados are so sweet that even the lemon juice one squeezes into it doesn´t make the smoothie bitter – but it adds perfectly to the smoothies taste. It was also our first acquaintance with injera – a big thick pancake one eats with different fillings. Two vegetarian options were available on the menu: a shiro and a fasting fyrfyr. Shiro is a stew whose primary ingredient is powdered chickpeas, served with injera. Fyrfyr is shredded injera soaked in spiced butter. Also served with injera (no joke!). Both shiro and fyrfyr were delicious. 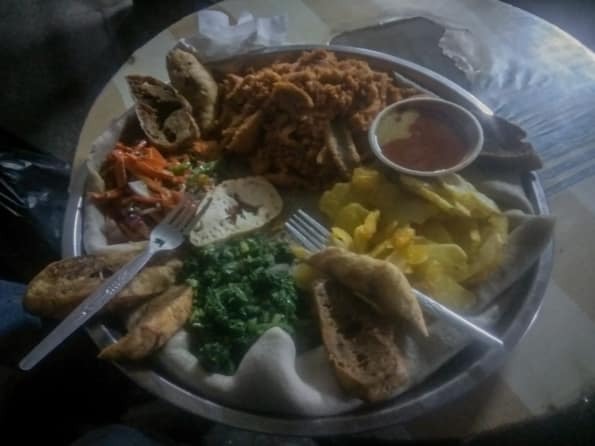 The bad news is that these are the only vegetarian dishes of the Ethiopian cuisine (at least the only ones served in the restaurants) and we were eating them almost every day for the rest of the month – and got quite sick of them in the end!. By the end of our splendid and affordable dinner, we learned an incredible fact about the guy from the office. Thinking about it made laugh out loud even half asleep in the cold hotel bed: he was studying accounting! Find out more about our trail ride in the Ethiopian Bale Mountains in the next post. Previous PostPrevious 7 (Still) Affordable Destinations in Europe. Hurry Up!